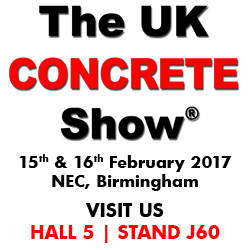 If you have anything to do with concrete, you can’t afford to miss The UK CONCRETE Show 2017 – it’s grown to be Europe’s largest specialist concrete event and is attended by specialists from all over the world. The whole of the concrete industry will be on display in the largest hall at the NEC with 200+ exhibitors and over 200 product groups. Come and visit us in Hall 5, Stand J60 where Blastrac will be showcasing a large selection of our equipment / new products and our team of experts will be on hand to discuss any questions you may have.